Here comes the autumn. It’s the season of cooler temperatures and changing colors. It’s also the season that can wreak havoc on flat roofs. Those cooler temperatures and changing colors lead to storms, freezing, and falling leaves. Before the fall, arm yourself with the information you need to protect your flat roof. Here, we go over a few problems that come along with autumn and solutions to keep your roof in good shape. As leaves change and drop from trees, they inevitably collect on roofs and in gutters. These leaves, along with other debris may seem harmless, but it’s important not to allow them to sit around. When left alone, they can cause major problems with the integrity of your roof. When organic matter piles up, it traps in moisture. 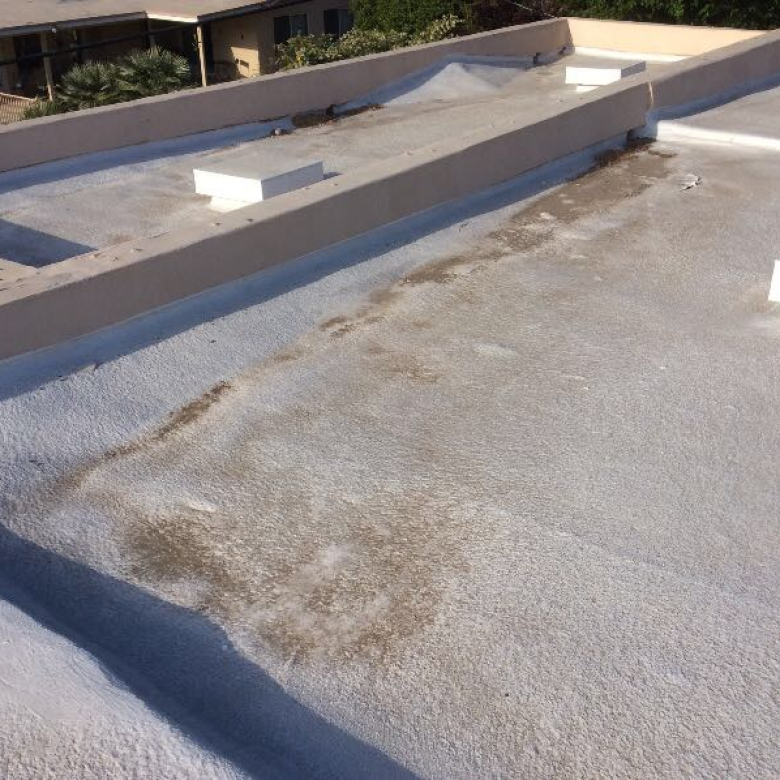 That moisture leads to mold and fungus, which reduces the lifespan of your roof. 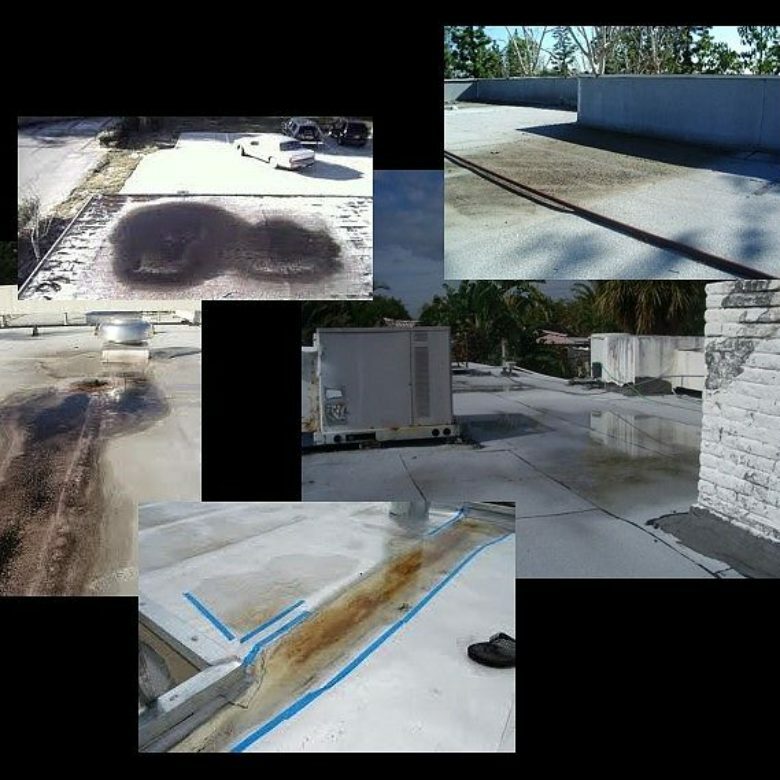 When mold and fungus grows on roofs, it eats away and rots the material. This means leaks and compromised roof strength. Gutters also play an important role in the function of your roof. That’s why it’s important to keep up with gutter maintenance. Gutters and outlets allow water to flow away from roofs. A blocked gutter promotes water ponding, the enemy of flat roofs. Ponding water not only puts your roof at risk for leaks, the weight of it also strains the roof. 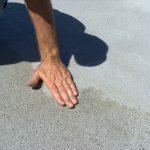 Preventing and correcting ponding water lengthens the life of your roof. In order to prevent damage done by leaves and debris, keep your roof and gutters clean. How often you need to clean out your gutters depends on a couple of different factors. The general rule is that you should clean them twice per year. However, you may want to inspect and clean them more often if you have a lot of trees surrounding your building. It’s also important to clean gutters after a hefty storm. Storms can carry leaves, branches, and debris into your gutters from afar and fill them up fast. As temperatures drop, ponding water on flat roofs freezes and thaws. This causes splitting. Most often, splitting occurs along the joints of membranes. These splits and cracks in your roof can cause leaks and seepage that lead to damage. The snow and ice that come with dropping temperatures can also build up and cause problems. Heavy snow and frozen water create blockages, again trapping moisture. When the sun comes out and melts the snow, it can cause the above-mentioned ponding. Like ponding, the weight of snow and ice also create strain on flat roofs. Regular inspection and maintenance is essential. After a storm, it’s important to safely remove snow and ponding water as soon as possible. Keep gutters clear of debris, and don’t allow leaves to pile up on your roof. Have your roof professionally inspected before and after the season. In addition to regular inspection and maintenance, you might consider other measures to protect your flat roof such as adding a slope to it. RoofSlope helps immensely with drainage and spot filling, so ponding isn’t an issue. Your roof holds the major responsibility of protecting your building from water and structural damage. 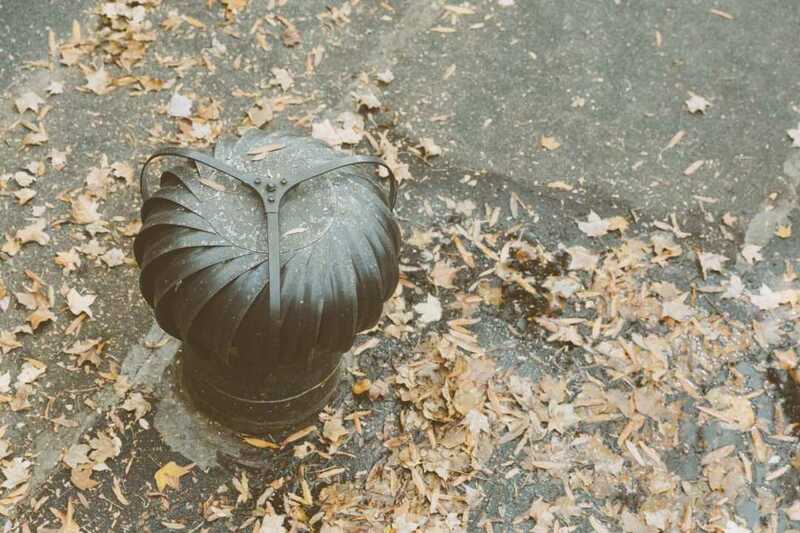 One of the best times to inspect, repair, and take preventative measures is before the weather changes. 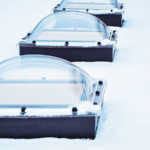 This ensures your roof is fully prepared to take on all that the autumn season can throw at it. If you would like more information about what you can do to protect your flat roof from leaks and damage in the autumn, please contact us.